Canadians take Passchendaele, or what was left of it, and the battle is finally over. Air photographs of Passchendaele are taken after the battle; it is estimated that half a million shell holes can be seen in the half square mile of the picture! This, presumably, was where Haig expected his troops to winter. And so the British gained their objective, although it was quite useless to them in terms of the original plan; the attack from the sea at Nieuport had been abandoned, and there was no hope of breaking through to the German occupied Channel ports, which will eventually be blockaded by hulks sunk at Zeebrugge. 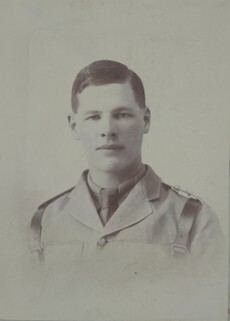 Captain ‘the Honorable’ Elidyr John Bernard Herbert (Gloucester Hussars attached Machine Gun Corps) is killed in action in Gaza at age 36. He is the son of Major General Ivor John Cardadoc the 1st and last Baron Treowen. Captain Hugh Wallace Mann (Cameron Highlanders) dies of wounds at age 26. He is the son of the Reverend John Wallace Mann and a Master of Arts at Glasgow University. Lieutenant William Allan Sewell (Border Regiment attached Royal Flying Corps) is killed at age 23. He is the son of the Reverend Thomas Jackson Sewell Vicar of Lynsted. Second Lieutenant Leslie Morier Evans (Army Service Corps) is killed by a shell at age 39. He is the son-in-law of Arthur Hipwell JP. Private George Hills MM (Bedfordshire Regiment) dies of wounds received in action at age 31. He is the second of three brothers who will die in the Great War. Gunner Charles Graham Lambert MM (Royal Field Artillery) is killed at age 29. His son will be killed in May 1941.